A pre-race sample was taken from Mignon upon arrival on course, prior to kennelling. Stewards spoke to Mr. W. Read the trainer of Walk Woody Walk regarding the length of time the greyhound has had between races. Walk Woody Walk last raced on 24/04/18. Mr. Read stated that the greyhound was returning to racing following a spell and change of kennel. The start of this event was delayed by approximately 2 minutes due to an Addington Harness event. Mignon, Penny Black and Walk Woody Walk were slow to begin. Gee Dalton, Elswyk Max, Aremac Igor and Delta's Magic collided on the first turn. Penny Black and Walk Woody Walk collided on the first turn checking Walk Woody Walk. Walk Woody Walk and Delta's Magic collided appoaching the home turn and again on the home turn. A sample was taken from Special Member - winner of the event. A sample was taken from Gee Dalton - second placegetter in the event. Destini Trucker was quick to begin. Sharp Missile and Our Aqua Blue collided soon after the start. Cosmic Act and Joe's Dolly collided on the first turn. Why Not Lola and Our Aqua Blue collided on the first turn checking Why Not Lola and severely checking Our Aqua Blue. Joe's Dolly was checked off Cosmic Act on the home turn. Our Aqua Blue failed to pursue the lure in the home straight. Why Not Lola was vetted following the event. It was reported that the greyhound sustained an abraded right front foot, a 10 day stand down period was imposed. Stewards spoke to Mr. E. Prazza the representative for Our Aqua Blue regarding the greyhound's racing manners in the home straight. Our Aqua Blue was vetted following the event. It was reported that the greyhound sustained an injured left chest muscle and left monkey muscle, a 21 day stand down period was imposed. Acting under GAR 69(B)(1) Stewards charged Our Aqua Blue with failing to pursue the lure with due commitment by reason of injury. Mr. Prazza pleaded guilty to the charge, Our Aqua Blue was found guilty and Stewards directed that the greyhound perform a satisfactory trial all tracks pursuant to GAR 69(B)(1)(a) before any future nomination will be accepted. A sample was taken from Destini Trucker - winner of the event. A pre-race sample was taken from Hannah Bear and My Uncle Bob upon arrival on course, prior to kennelling. A pre-race sample was taken from Sunny's Kayo. Sunny's Kayo, Alexagal and Jobes Return were quick to begin. Where's Lachie and Spin The Trolley collided soon after the start. Where's Lachie and Zipping Dozer collided entering the front straight. Where's Lachie and My Uncle Bob collided on the second turn. Alexagal and Zipping Dozer collided in the back straight. Hannah Bear lost ground from the back straight to the winning post. Hannah Bear was vetted following the event and after being re-vetted following event 7, it was reported that the greyhound sustained an injured left monkey muscle, a 14 day stand down period was imposed. Aeroplane Tippa was quick to begin. Lethal Lomar and Flaming Brooke collided soon after the start. Vandagambo, Lethal Lomar, Flaming Brooke, Tahlia's Diamond and Bejarano collided on the first turn checking Lethal Lomar and Flaming Brooke. Dobre and Pagan Dancer collided on the first turn checking both greyhounds. Tahlia's Diamond, Bejarano, Dobre and Pagan Dancer collided in the front straight checking Tahlia's Diamond. A sample was taken from Aeroplane Tippa - winner of the event. Another Shiner was a late scratching at 3.28pm due to the greyhound being on season (GAR 24). A 28 day stand down period was imposed. Akina Daisy was slow to begin. Mother Monster and Slick Maggie collided soon after the start. Mother Monster and Akina Daisy collided on the first turn. Mother Monster was vetted following the event. It was reported that the greyhound sustained an injured left monkey muscle, a 10 day stand down period was imposed. A sample was taken from Colorado - winner of the event. Straitline Willy was slow to begin. Straitline Willy, Akina Dee Jay and Dr. Leonardo collided on the first turn causing Straitline Willy and Dr. Leonardo to race wide. Fairy Vixen and Mars Rising collided on the first turn. Fairy Vixen and Shady Tex collided approaching the second turn. Akina Dee Jay, Mars Rising and Fairy Vixen collided on the third turn. Straitline Willy was checked off Fairy Vixen approaching the home turn. Pursuant to GAR 104(6) Starter Mr. L. Sullivan did not act in any official capacity for this event. In A Spin was quick to begin. Surfonic Gold and Little Black Joe collided soon after the start. Beanology and Dr. Condor collided soon after the start. Dr. Condor was checked off Little Black Joe in the back straight. Beanology and Little Black Joe collided on the home turn. Surfonic Gold was vetted following the event. It was reported that the greyhound sustained bruising to the left side of the chest, a 7 day stand down period was imposed. A sample was taken from In A Spin - winner of the event. 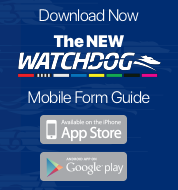 Garrido was a late scratching at 5.50pm due to the handler/representative Mrs. J. McMahon presenting the incorrect greyhound to Stewards at kennelling. No stand down period was imposed. Stewards held an inquiry and subsequently charged Mrs. McMahon with breach of GAR 31(1), Mrs. McMahon pleaded guilty to the charge and was fined the sum of $250. When considering the penalty Stewards took into consideration Mrs. McMahon's recent good record and penalties issued for similar offences throughout the industry. Zipping Hawk was re-vetted prior to the event and passed fit to race. Loaded was slow to begin. Oni and Soda King collided soon after the start. Oni and Meehan Barney collided soon after the start. Oni and Meehan Barney collided on the first turn causing Oni to contact the running rail. Oni and Meehan Barney collided on the second turn. Oni was vetted following the event. It was reported that the greyhound sustained an injured right trapezius muscle, a 14 day stand down period was imposed. Mr. R. Conway the trainer of Galloping Leo declared a new weight of 32.6kg for the greyhound in accordance with GAR 39(2). Galloping Leo last raced at 31.3kg. Guns Ablazing was quick to begin. Totally Bullish and Simply Smarter collided soon after the start. Eduardo Rose was checked off Simply Smarter on the first turn. Galloping Leo and Totally Bullish collided entering the back straight. Totally Bullish and Trap Queen collided approaching the home turn. Simply Smarter and Trap Queen collided on the home turn checking both greyhounds. A sample was taken from Guns Ablazing - winner of the event. Flywheel Strike and Snoop A Loop were slow to begin. Flywheel Strike and Nitroniun collided soon after the start checking Nitroniun which faltered and lost round as a result. Supa Pass galloed on Brandeen Bayley on the first turn checking Nitroniun, Brandeen Bayley and Supa Pass. Flywheel Strike, Snoop A Loop and Supa Pass collided approaching the home turn. Flywheel Strike was checked off Supa Pass on the home turn. 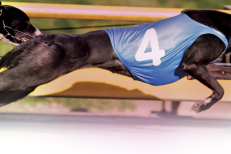 Nitroniun was vetted following the event and after being re-vetted following event 12, it was reported that the greyhound sustained an injured left triangle muscle, a 10 day stand down period was imposed. Galloping Wytee was quick to begin. Early Storm, Zippy Zuri and Alon collided soon after the start checking Zippy Zuri. Elusive Anake and Trim City collided on the first turn checking Trim City which then collided with Maderra and Select Teeman checking both greyhounds. Trim City was checked off Zippy Zuri entering the home straight.